I'm very new to this and I've seen you've been very helpful and you were recommended to me by a user. 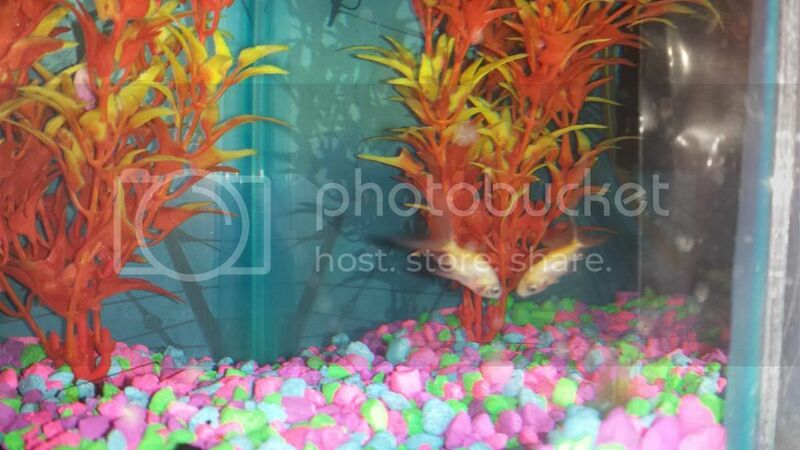 I have two goldfish who are very sick and I'm in desperate need of help to save them. If you could look at my thread and help I'd be very appreciative. Thank you. I was able to get to the pet store and make some purchases. I opted to get a few dollars back since the tank of goldfish looked pretty rough. A fair amount of fin rot and some loopy swimming. So all in all, it probably was a sick fish to begin with. I was able to get Prime and goldfish pellets. I added the Prime and will test the water in the next 24 hours. The pellets aren't a big hit and the goldfish just spits them out. I picked up a bunch of veggies. Any advice on how to prepare and anything to avoid. I've got carrots, celery, apples, peppers and the like. He is acting pretty mopey and would prefer to float than to swim. Fins mostly clamped. but still upright and aware of his surroundings. Hope this isn't a sore subject, but how did it all turn out? Just wanted to let you know, your avatar looks amazing! It is a beautiful shot! Also, congrats on becoming a moderator, aren't you a new mod? So in a little while I'd like to get two small fancy goldfish or maybe something where I can put a few different types of fish in there. I woke up this morning and the tank was 80% cloudy. and some of the decorations started to get weird and fuzzy. I feel like I've gone in so many different directions here and the bubbler I got was way too big and strong. I have no idea what is going on nor do I know where to go from here with all this fish tank gear. Hey thx. Should I dose back to 1 ppm? AbsolutAngel04 suggested I reach out to you for a little help with a goldfish. A year ago some friends bought me 3 wal-mart goldfish and a small 1gallon tank. 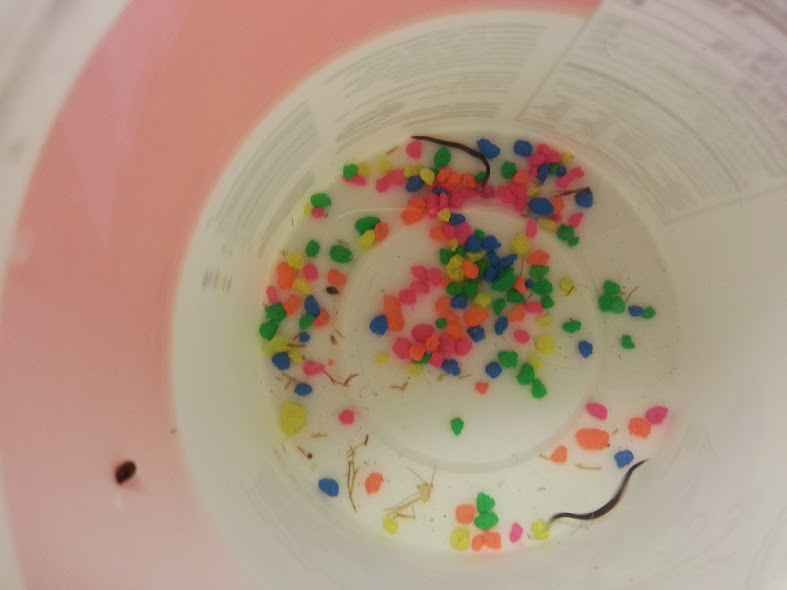 2 died within a few weeks but 1 of them is still alive and swimming. Recently I decided to move him into a larger tank, 20gallon. I got the tank set up and running and left it for a week. Then I moved my goldfish into the new tank and for about two weeks now Goldie just seems to enjoy camping at the bottom. When he does swim its very fast and erratic. I'm pretty sure he crashed into one of the decor pieces since he is now missing 4 scales. He prefers to "float" around the tank. Whenever I enter the room or flip a light on he darts back to his hiding corners. He still eats but won't venture too far for food. His poop is long, clear and stringy. Every other day I am doing a pwc of about 5-6 gallon, adding the chemicals to make the room temp water safe for fish. hello i hope this is where im supposed to post..im not good at this..i checked my numbers and ammonia is 0, nitrites were 5. and my nirates are over 80( as high as they have ever been) thats good right?? that means they are finally catching up or no? am waiting for my cycle to cycle in 24 hrs right?